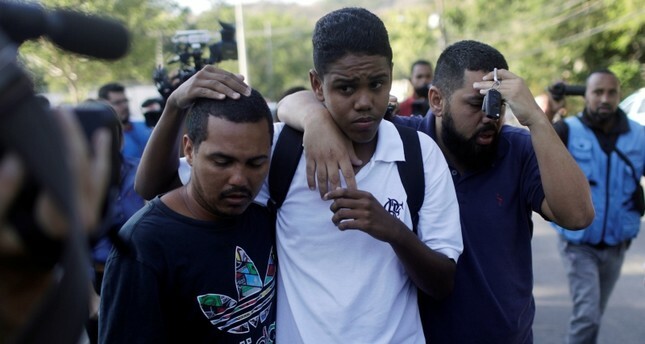 A fire tore through the sprawling training complex of one of Brazil's biggest soccer clubs, killing 10 people and leaving three injured teenagers in Rio de Janeiro, firefighters said. Brazilian firefighters were called in just after 5 a.m. Friday to battle a blaze at the Ninho de Urubu training ground of the Flamengo soccer club in the city's western region, a fire official told The Associated Press. Like many professional clubs in soccer-crazed Brazil, Flamengo has a youth development program for promising young players in their early teens. Many players stay at the facilities while training.